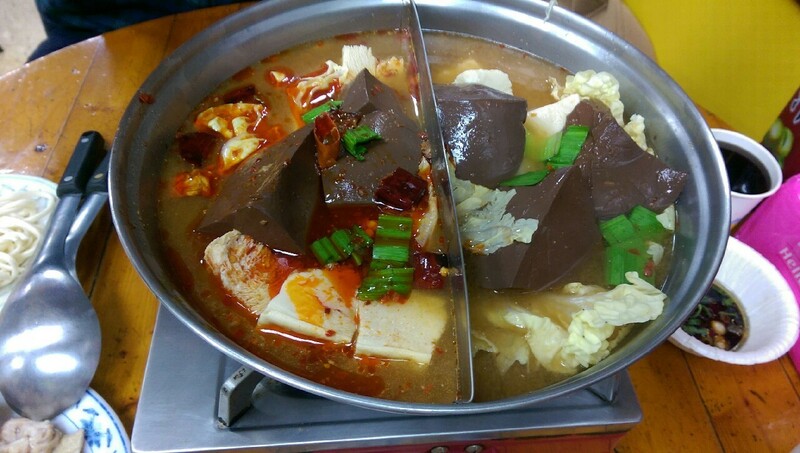 I have heard some great things about 藍記麻辣鍋, and recently the weather has been rainy and cold in Taipei, so I feel that spicy hot pot is certainly a good way to heat you through. We arrived on the scene at 16:50, for a 17:30 opening. 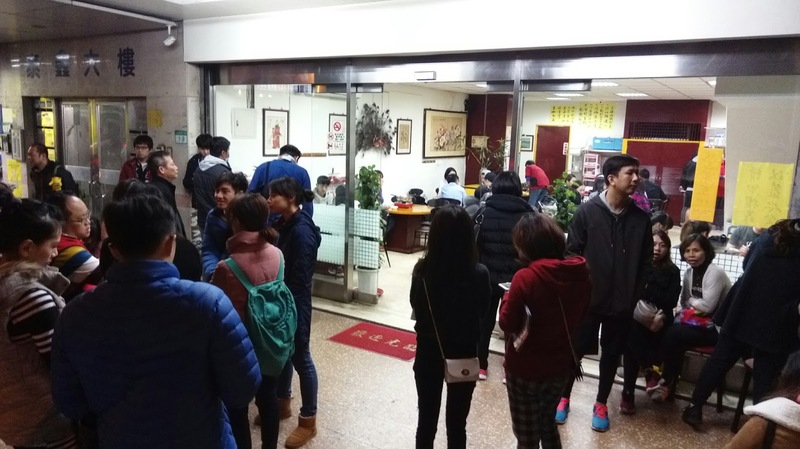 We received a number after telling them that we were 兩位 liǎng wèi (2 people). 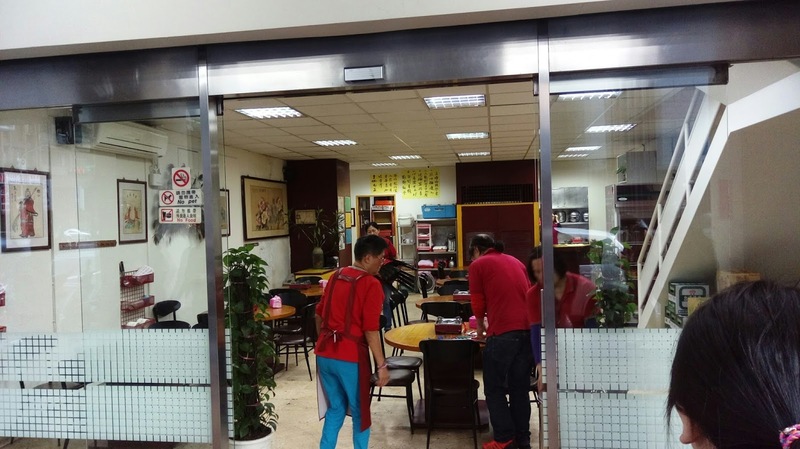 On this specific day, they were only opening the downstairs of the restaurant, where there were a total of 9 tables to eat at. We were number 6! 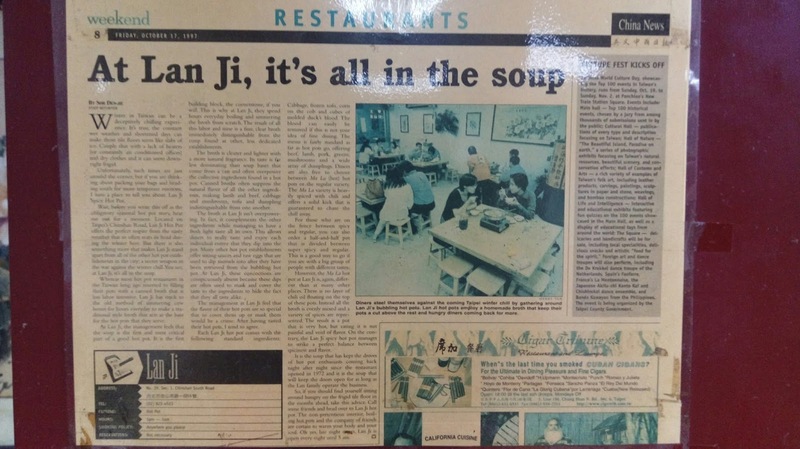 A Newspaper article from 1997, LanJi clearly standing the test of time – it first opened in 1989. Apparently, it is all in the soup! This is at 18:30, wow. We handed in the menu and then went to arm ourselves with sauces. 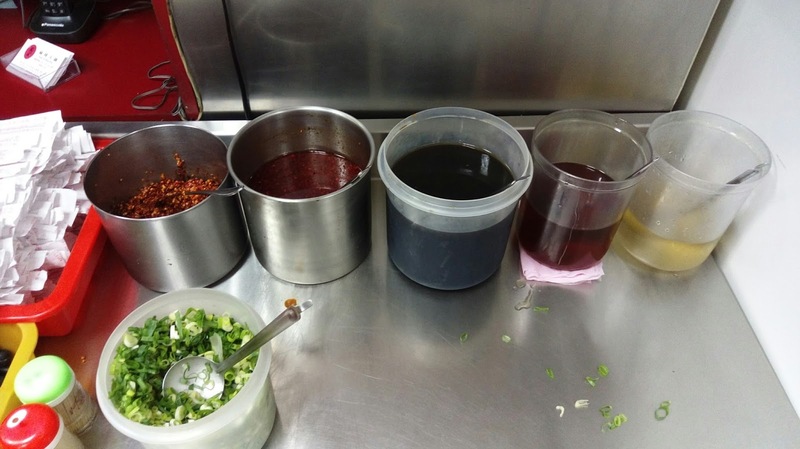 We went for the one 2nd on the left which is a spicy roasted chilli, and one of the workers helped us to create another one which was essentially a mix of all the other ingredients. 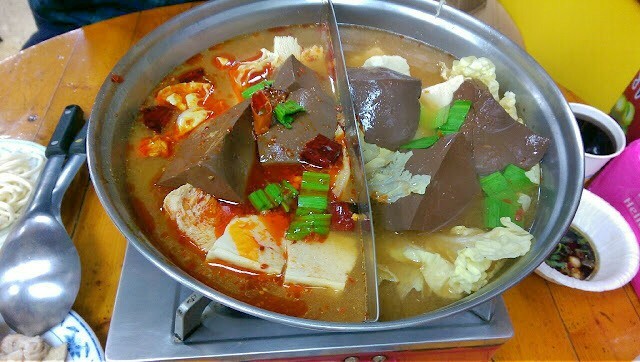 The hot pot came first, with the right side being only a little spicy and the left side being standard spice level. However, don’t be fooled like we were – the right side is still quite spicy! 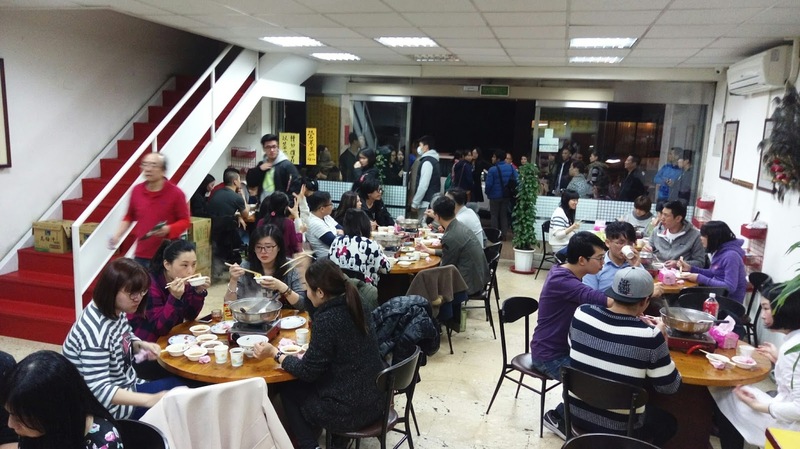 One of the great things about this hot pot is that you can drink the hot pot itself, whereas with most spicy hot pots you cannot. Inside the pot you have duck blood, tofu, cabbage and green onions. Less (but still quite) spicy side. 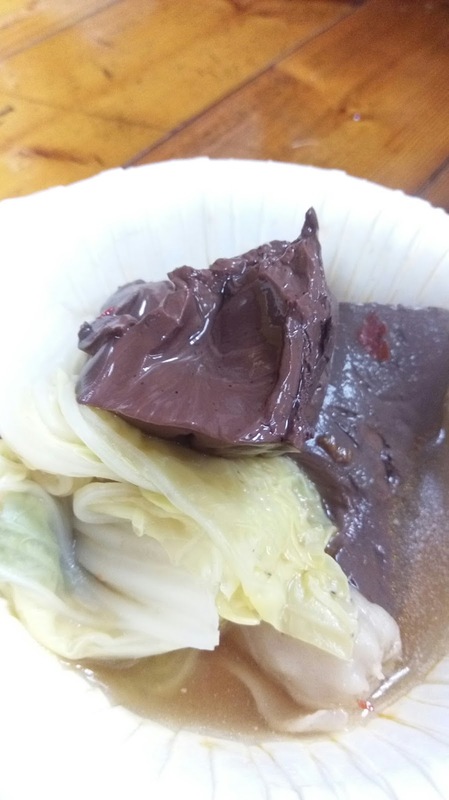 Delicious duck blood. If you haven’t tried it, then I urge you to give it a go. If you have, then I challenge you to find a better one. I apologise, but I didn’t get chance to take pictures of the tofu as it was just too good! 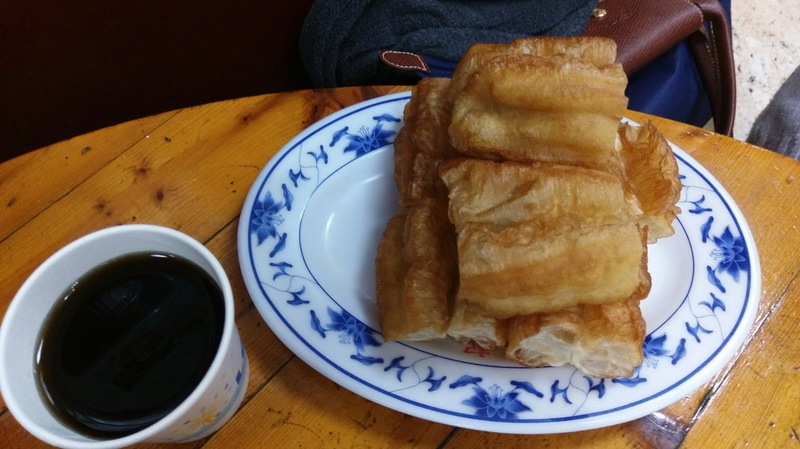 It’s so delicate and creamy and delicious and awesome and tasty and… (you get the picture, make sure you order the tofu). 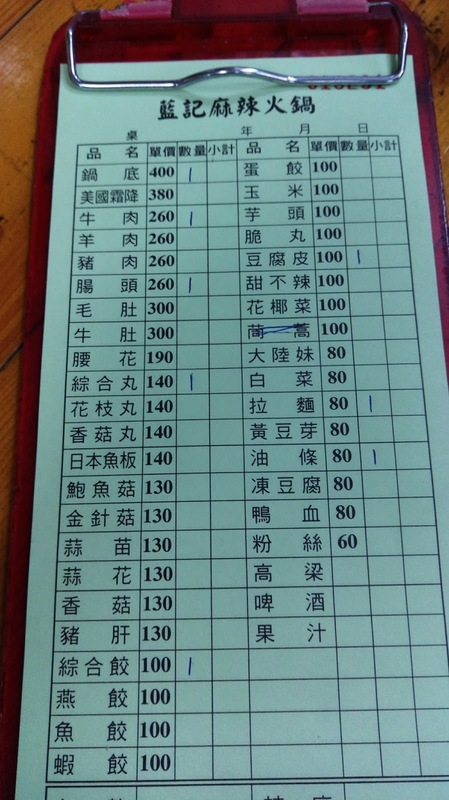 It’s quite a small amount of beef for $260. The quality is fairly decent, but I think the portion size is quite small for the money paid. Not for everyone, but certainly one of the first things we put a 1 next to on the menu. 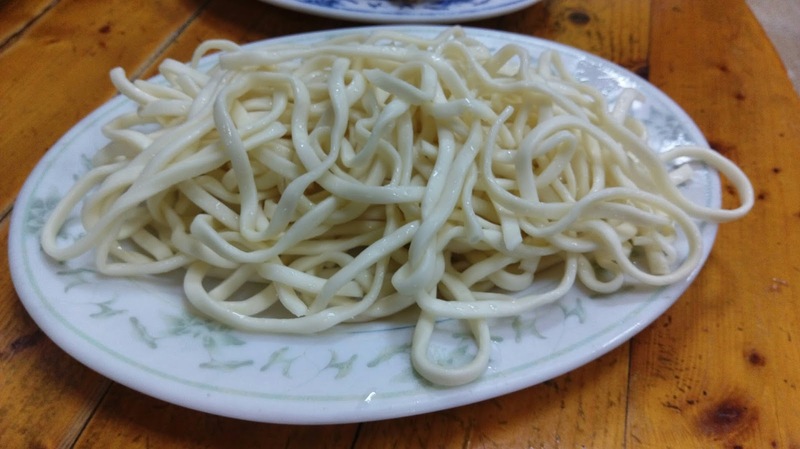 It’s completely unlike the small intestine, both in flavour and in texture. 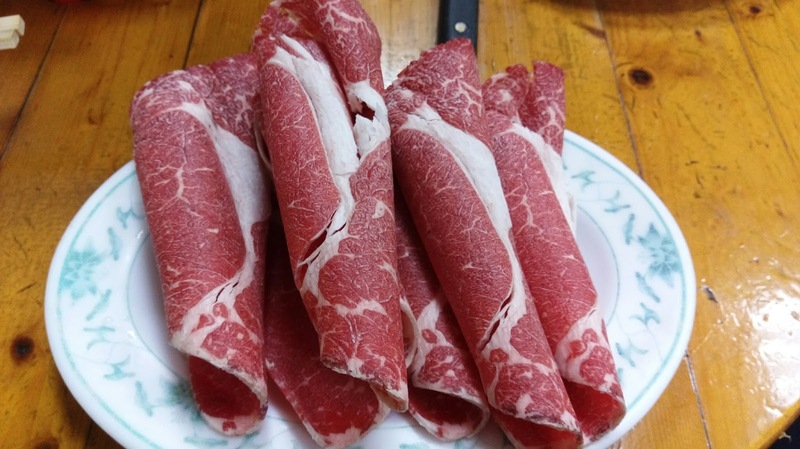 The texture is slightly more meaty and fatty, the flavour is a little stronger because of this. 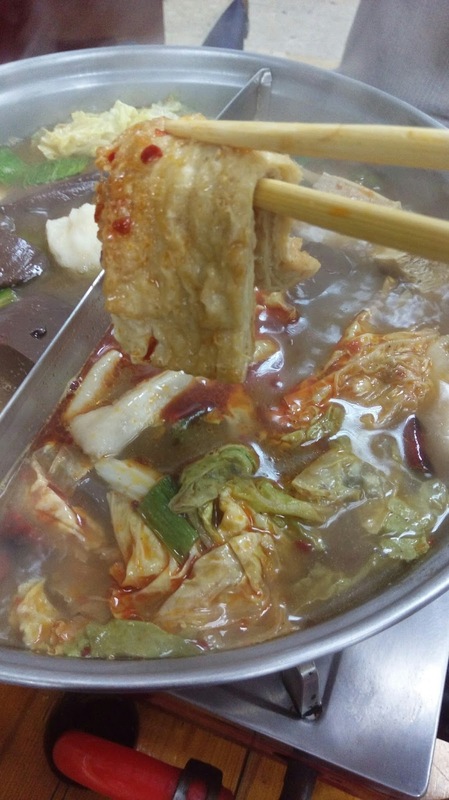 When dunked into the spicy broth, this intestine soaks in some of the flavour of the broth but maintains its original flavour and texture, too. 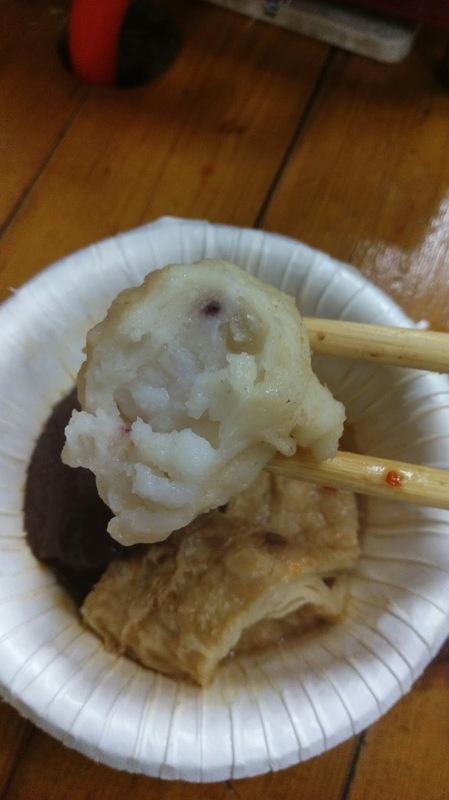 This was the fish ball, and it sung with flavour. 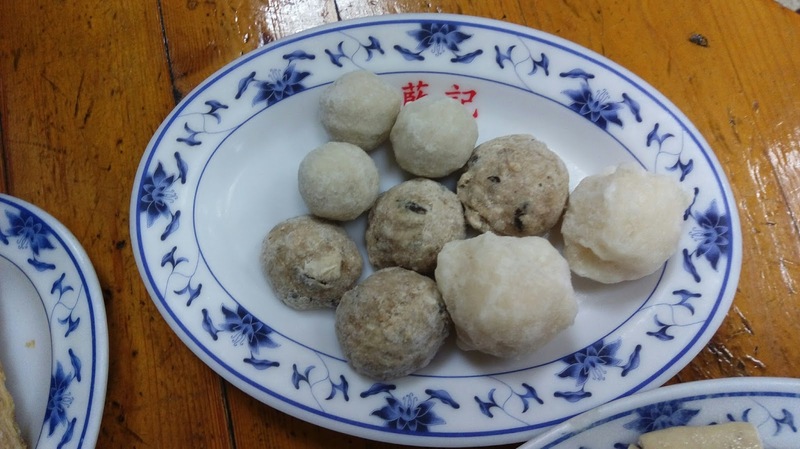 A softer and more rubbery texture on the outside but delicately soft on the inside. There’s squid and fish inside this one so every now and then you get a chewier piece of squid, but it’s a welcomed addition of varying textures. 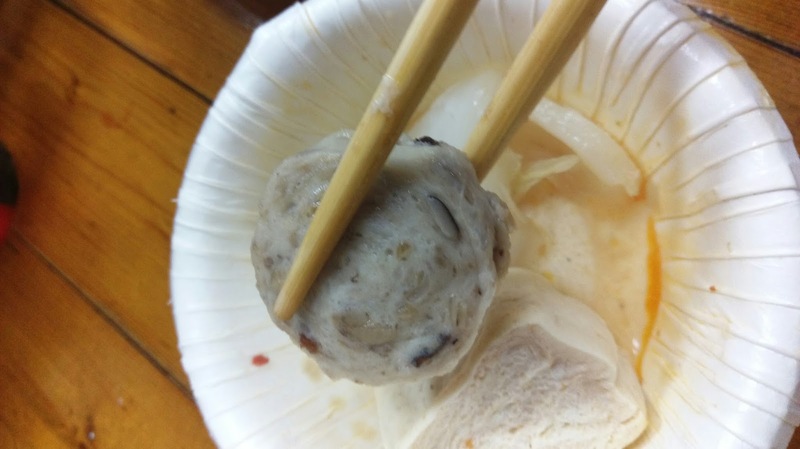 This meatball is pork with onions, and even though it is small it packs a huge flavour! 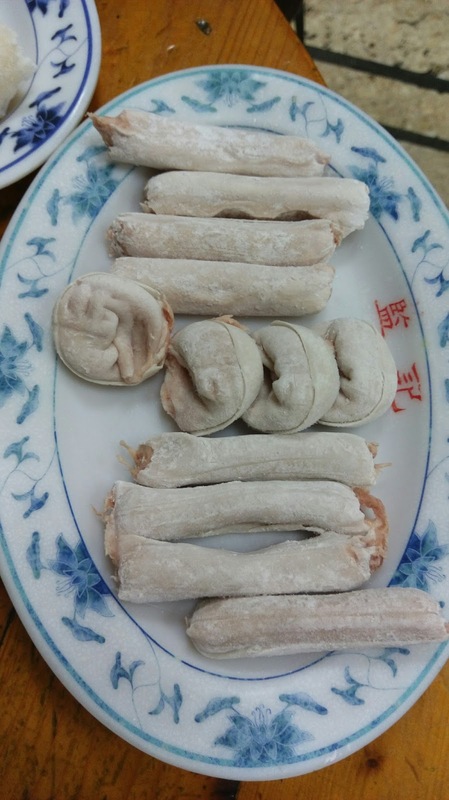 All pork dumplings here, and again, quite clearly home made. They were good, but I won’t wax lyrical about them. The ones in the middle were more interesting than the thin ones. This should definitely make its way onto your order. 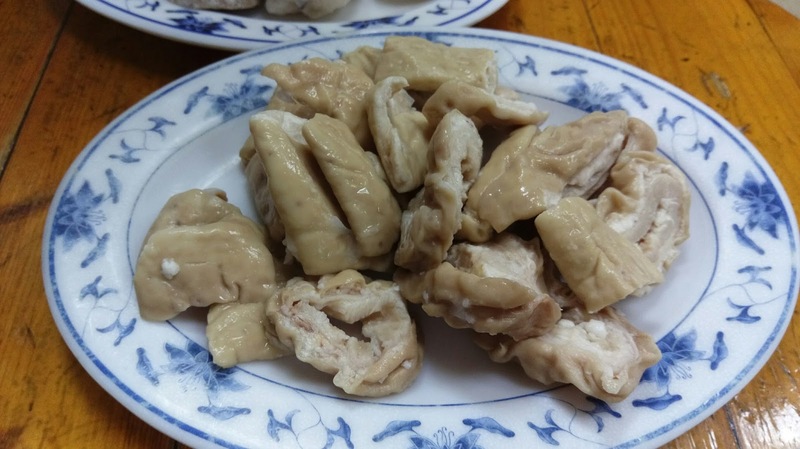 The outside of the tofu skin is a little less rubbery than the inside, with the two textures working well against each other. 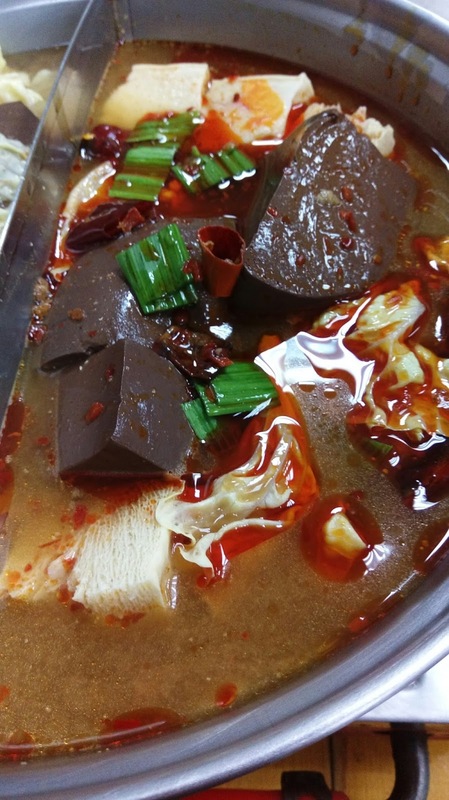 The flavour is great, the texture is great and because it is made up of a few layers of tofu skin, when it’s dipped into the broth it conceals some of the chilli within the layers and creates mini explosions in your mouth – exciting! 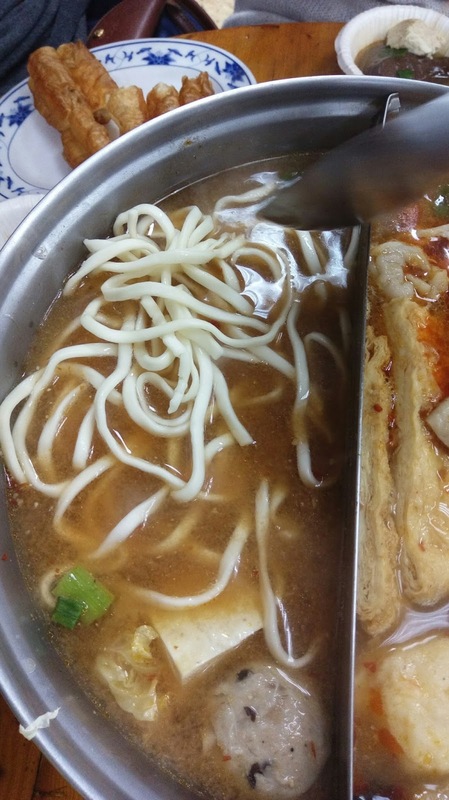 No rice in sight, so we went for noodles. These also seem like they are handmade. 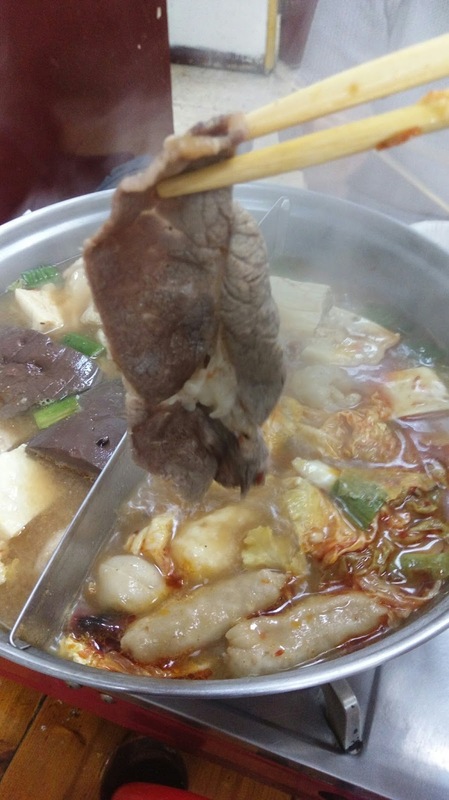 Quite incredibly, they seem to hold their integrity even after a long cooking time (like with most hot pots, you forget what you’re cooking and continually fight the urge to stuff food in your mouth at the risk of it being burnt). 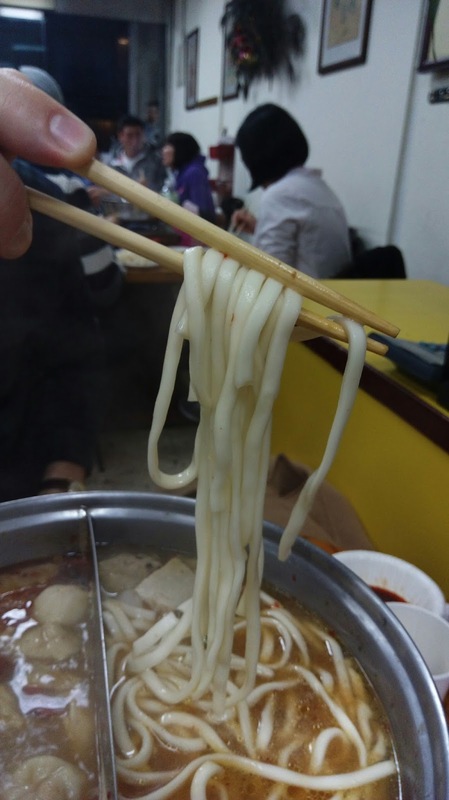 The centre of the noodles retains the bite I look for and the outside, in contrast, is softer. They were very good, and I will certainly look to order these again. This goes down as the big disappointment of the meal. 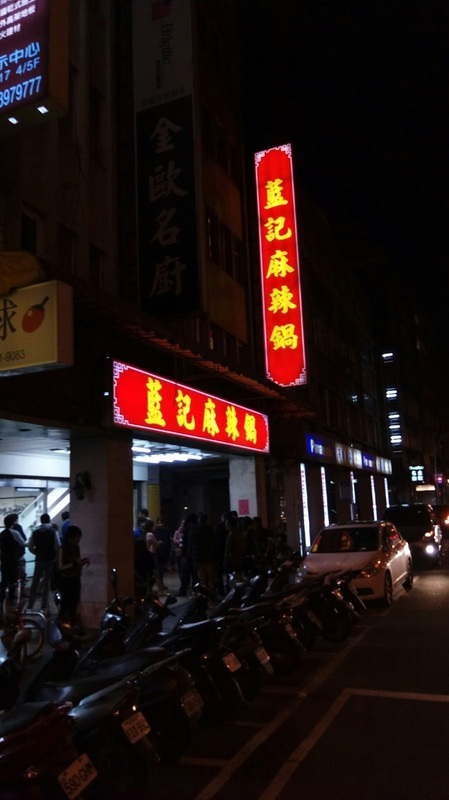 Really, it’s our fault for ordering it, as we thought it would be the stale dough stick 老油條 whereas it was a fresh one. Why they have a fresh one on the menu is beyond me, because as soon as it touches the broth it just goes soggy and wet. 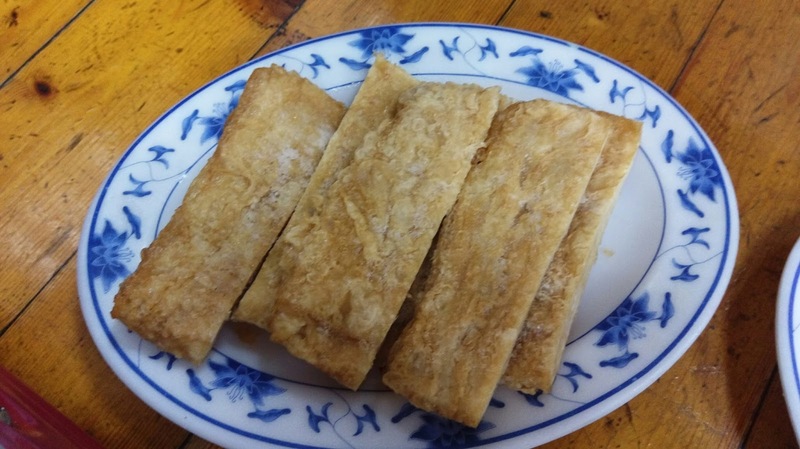 Whereas the stale dough sticks soak up the flavour and it takes more time for them to go soggy, so you have the opportunity of still getting a crunch with it. With this one, you don’t. Unfortunate. 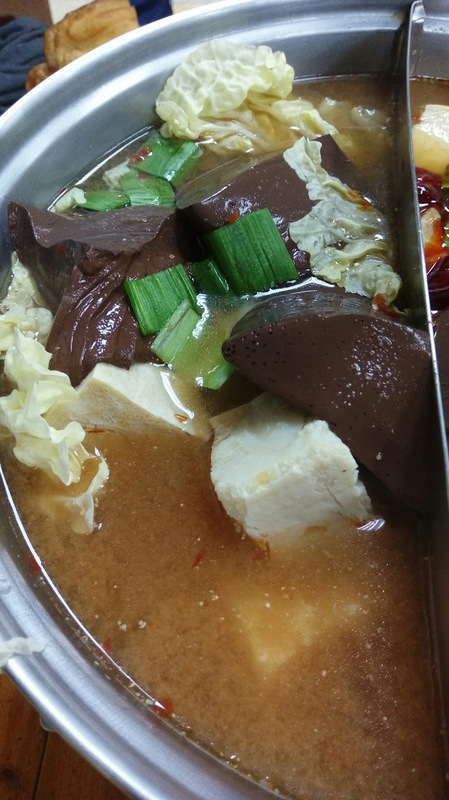 Overall, I would say, if you are looking to get a good quality Taiwanese style Spicy Hot Pot 麻辣鍋 then this is a very good option. One of the best parts is that you can drink the broth in which your ingredients are cooked in. 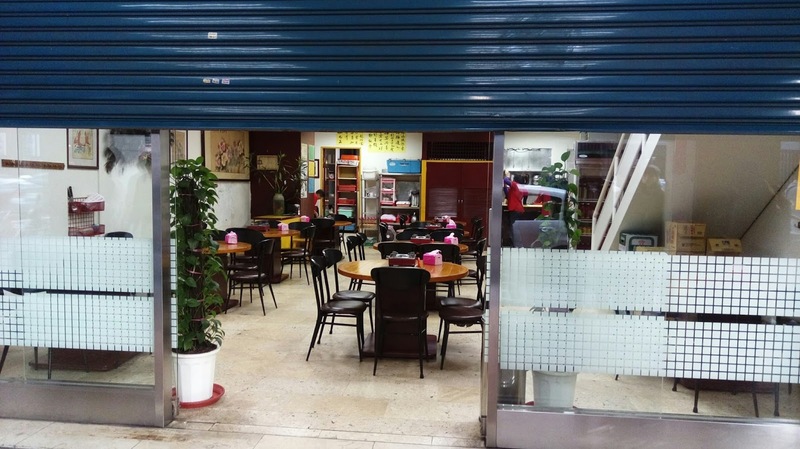 Get there early, and enjoy the lively atmosphere with the friendly and accommodating staff who may try to speak English to you. No. 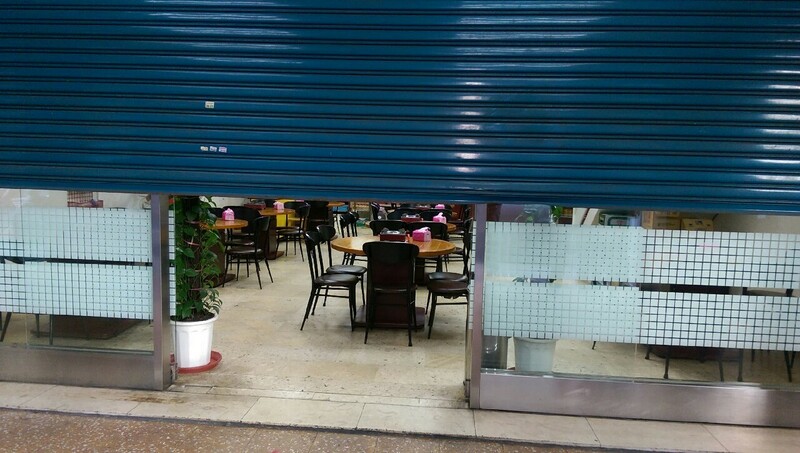 19, JinShan South Road, Section 1, ZhongZheng District, Taipei City.